Well school is out for the year!! Hope everyone had a great year. Have no fear the Nasson Community Bicycle Center is open ALL summer long! We are looking forward to a packed shop with our open shop hours staying the same on TUESDAYS AND THURSDAYS 2-5PM. Come over the the Nasson Community Center and find us cranking on some bikes in the basement. We are working on building bikes for Carl J. Lamb this summer as they take on an awesome project, through Ms. Spinney’s amazing idea to build our communities bike culture. 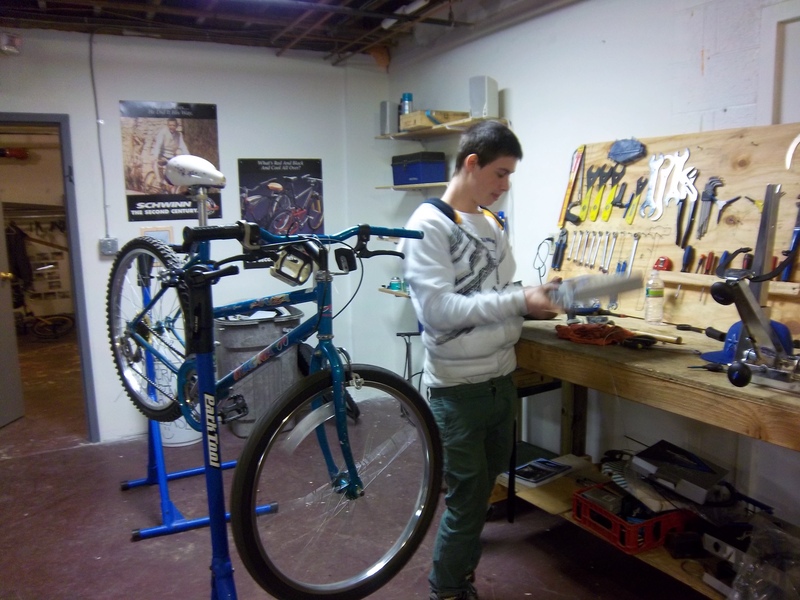 If you are looking to Earn-A-Bike come and fix one up for the project or for someone in need and then pick a bike for yourself! Need help on your own bike? Perfect! Stop by with your bike and we will help you get it going again. You simply need to dedicate some service time to help the community and you earn yourself some parts! How awesome is that? Amazing I know and that’s just why we do it! Wondering what we are doing on WEDNESDAYS for the summer? We will be in the community doing mobile repair! Starting the week of the 25th we will be at Carpentier Park with our mobile workshop fixing bikes from Noon till 2pm. Head over to Nasson at 2:30 to gear up for a ride! Leaving Nasson by 3pm every WEDNESDAY for trail rides around Sanford/Springvale. Don’t have a bike to ride but you really want to ride?? We have plenty of loaners and helmets of course! Looking forward to an awesome summer!